The OCT Angiography Module for SPECTRALIS® is a non-invasive imaging technology that provides a three-dimensional depiction of retinal vascular flow with customizable field of view, scan speed, and image resolution. This modality as part of a multi-modal approach to diagnosis, provides extremely valuable supplementary clinical information that needs to be understood, systematically evaluated and carefully interpreted. 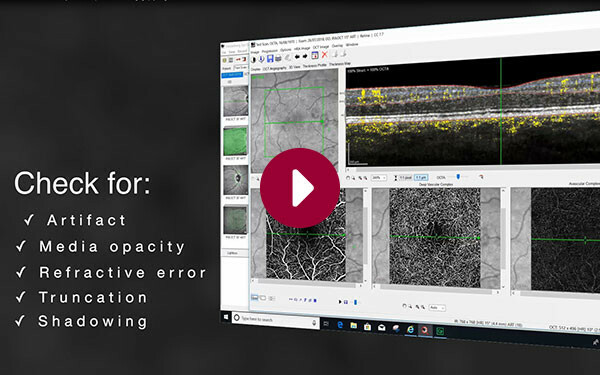 Take full advantage of this exciting new technology, by watching the video tutorial, which teaches a systematic approach to evaluating OCT Angiography images in 8 steps.